Alu spring-tension adjusting nut for ULP shock absorbers. 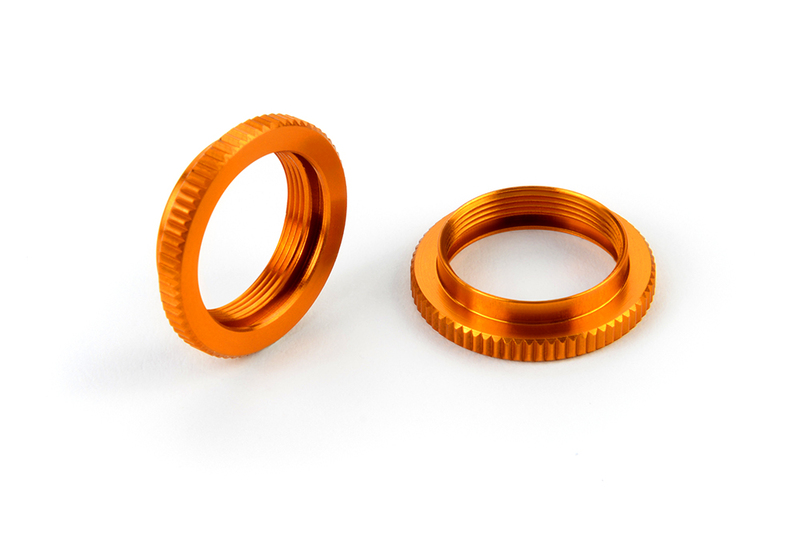 A redesigned O-ring groove in the adjustable nut allows it to turn more easily while holding the O-ring safely in place. Set of two. Orange color.